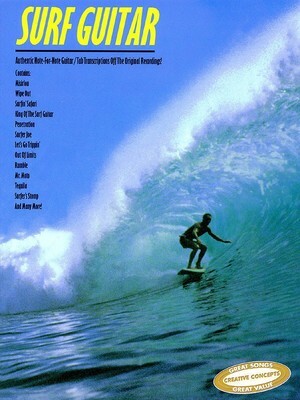 Authentic note-for-note transcriptions straight off the original recordings for 30 of the best surf guitar songs ever! Includes: Let's Go •Lonesome Town • Misirlou • Mr. Moto • Poor Little Fool & bull; Rumble • Surfin' Safari • Tequila • Wipe Out •and more. Also features a souvenir photo section and playing notes on e ach song. Includes tab.